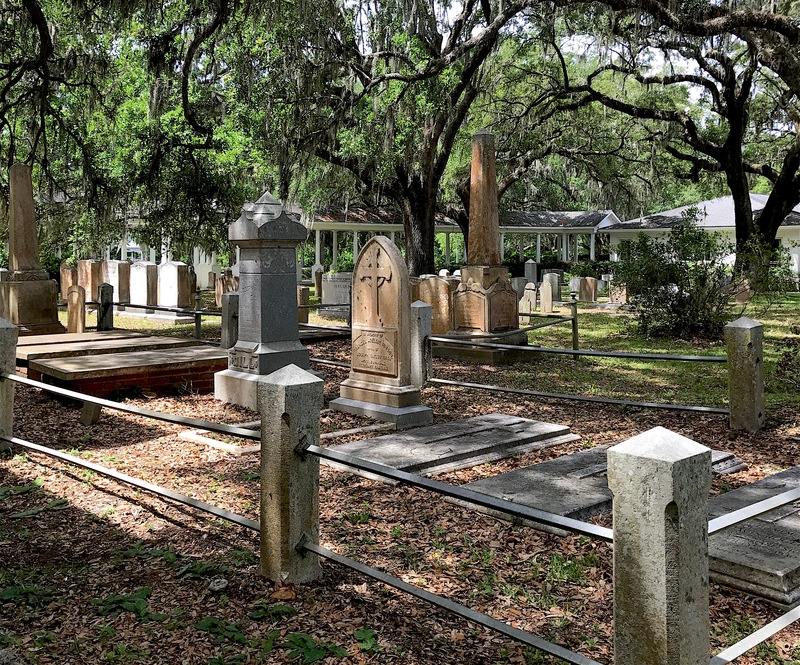 Last week, I introduced you to Saint James Church’s cemetery on James Island, S.C. and shared stories about the Ellis and McLeod families. Today we’ll focus on the Cornish and Lawton families. Many of the people I’ve recently profiled were wealthy landowners or planters. In the case of the Rev. Andrew Ernest Cornish, his life was devoted to the church and helping others rather than amassing an earthly fortune. There isn’t a lot of material written about him but from what I can ascertain, he was one of the busiest men in Charleston. The Rev. Cornish was the son of a clergyman, the Rev. John Hamilton Cornish and Martha Jenkins Cornish. While the elder Rev. Cornish was a native of Massachusetts, Martha hailed from Edisto Island. I’m not sure how the two met. By the time Andrew was born in 1861, the elder Rev. Cornish and Martha were living in Barnwell, S.C. The Rev. Andrew Ernest Cornish was in charge of Saint James Church in the late 1880s. Andrew followed in his father and older brother Joseph’s footsteps in pursuing the ministry as his vocation. He obtained his degree at the University of the South in Suwanee, Tenn. in 1885. A few years later, he assumed the rectorship of a church in Graniteville, S.C.
Andrew may have met his future wife, Sarah Catherine Fairbanks, through her father, Major George Rainsford Fairbanks. Not only was Major Fairbanks an attorney and Civil War veteran, he was a prominent lay leader in the Episcopal Church. A native of Saint Augustine, Fla., Sarah married Andrew in 1889. By this time, he was already settled in Charleston as a city missionary. From orphans to sailors to widows to the poor, he was often drawn to helping those most in need. Over the next few decades, the Rev. Cornish dedicated himself to a number of churches (the years often overlapped) and causes. He served as rector of Saint James Church sometime around the late 1880s when the new building was constructed. Part of that work involved ministering to sailors at Charleston’s Seamen’s Home, those that labored on “The Farm” on James Island, and children living at the Sheltering Arms Orphanage. In looking through almanacs and directories, I connected the Rev. Cornish to several other ministries in the Charleston area. While he served in many churches and ministries over the years, the Rev. Cornish’ family chose to bury him at Saint James Church Cemetery. After purchasing land on Morris Island where a lifesaving station and lighthouse existed, Andrew moved the orphanage from James Island. He did his best to make the orphanage self sufficient by collecting overripe produce from the Charleston docks in addition to picking up broken cookies/day-old baked goods that local bakeries discarded. The orphanage had a school for the children and Rev. Cornish led services for them on Thursdays. Still acting as Charleston’s city missionary, the Rev. Cornish was rector at St. John’s Episcopal Chapel on Hanover Street from 1893 to 1907. He and Sarah had four children, who all lived long lives. Their son, George, served with much distinction in the military and attained the rank of colonel. 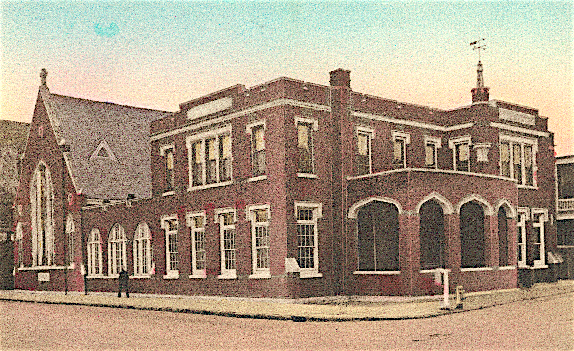 His final post would be as pastor of the Church of the Redeemer and Harriott Pinckney Home for Seamen at 24 North Market Street, which still stands today (but not as a church). Sarah died in 1918 and Andrew died two years later in 1920 at the age of 58. While he had ministered to many in several places, they were buried together at Saint James Church Cemetery. One of their daughters, Sarah Cornish Crawford, is also buried there. On the other side of the church is a Lawton family plot, headed by patriarch Winborn Wallace Lawton, Jr. Altogether, there are 16 Lawtons buried at Saint James Church Cemetery and the family has deep roots in the South. This plot is surrounded by a fence that has no gate. Since I’m not even five feet tall, I couldn’t climb over it and thus, was unable to photograph all the graves. The Lawton family plot is dominated by the monument for Winborn Wallace Lawton, Jr. and his second wife, Martha. I believe Winborn Jr.’s father, Winborn Sr., was descended from Captain William Lawton, a native of Cheshire, England, who owned a plantation on Edisto Island. Married three times, the last name of one of his wives was Winborn. 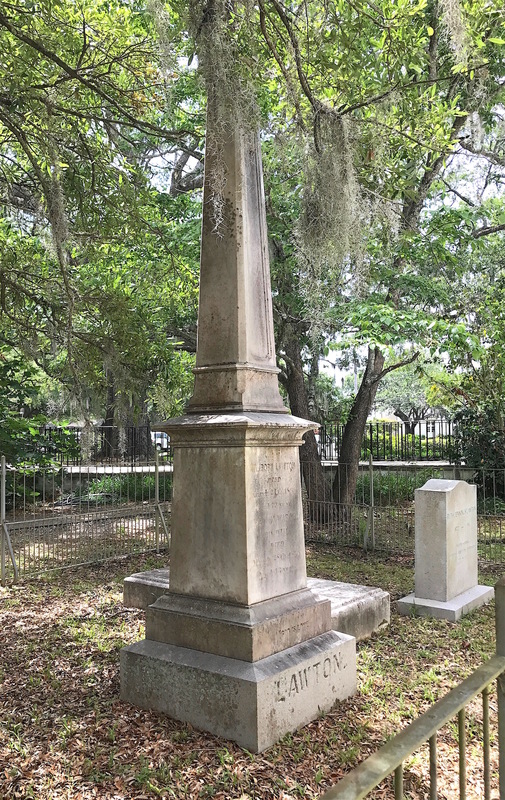 A memorial monument is erected at the Presbyterian Church on Edisto Cemetery in his honor, but he is buried at the Lawton-Seabrook Cemetery, which is still being cared for by Lawton descendants today. Captain Lawton died in October 1757, having amassed quite a fortune. Born in 1782, Winborn Wallace Jr. was the son of Winborn Wallace Sr. and Mary Frampton. Winborn Jr. first married Margaret McLeod Frampton around 1805 and had at least five children. Margaret died in 1830 at the age of 44. I did not see her marker but there is a picture of it on Find a Grave, leaning against the side of the church. It may be in need of repair. He married Martha Waring Hughes that same year. Together, they would have at least five children. Winford Lawton, Jr.’s mother, Mary Frampton Lawton, died in 1837. In 1848, Winborn Jr. purchased the Heyward-Cuthbert House on James Island along with the 50 acres it is situated on. The house was originally built around 1740 and is considered by some to be the oldest house on the island that is still standing. After that, it was known as Lawton Plantation or Lawton’s Bluff. 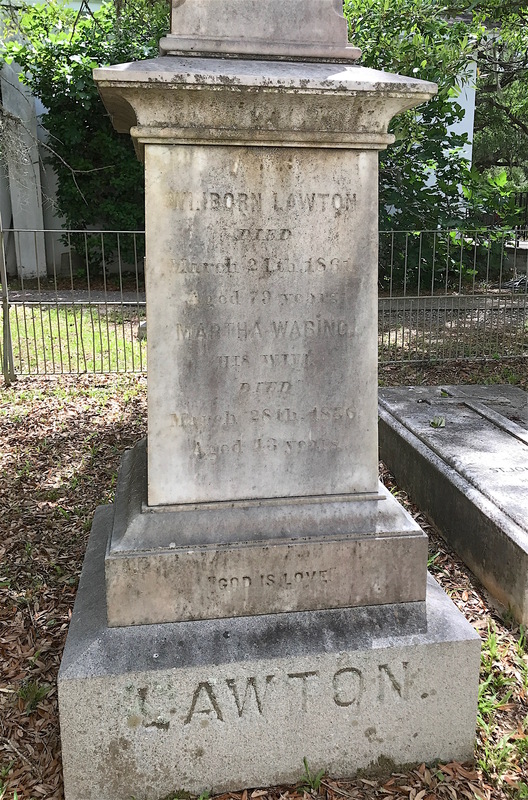 Next to the monument of Winborn Lawton Jr. and his second wife, Martha, is the grave of their grandson, St. John Alison Lawton. Martha died in 1856 and Winborn Jr. died in 1861. In his detailed will, he was quite generous to his children and grandchildren. I suspect that Winborn Jr. had learned a valuable lesson when his father, Winborn Sr., died intestate in 1809 with no will. This resulted in lengthy court proceedings that took time to sort out. 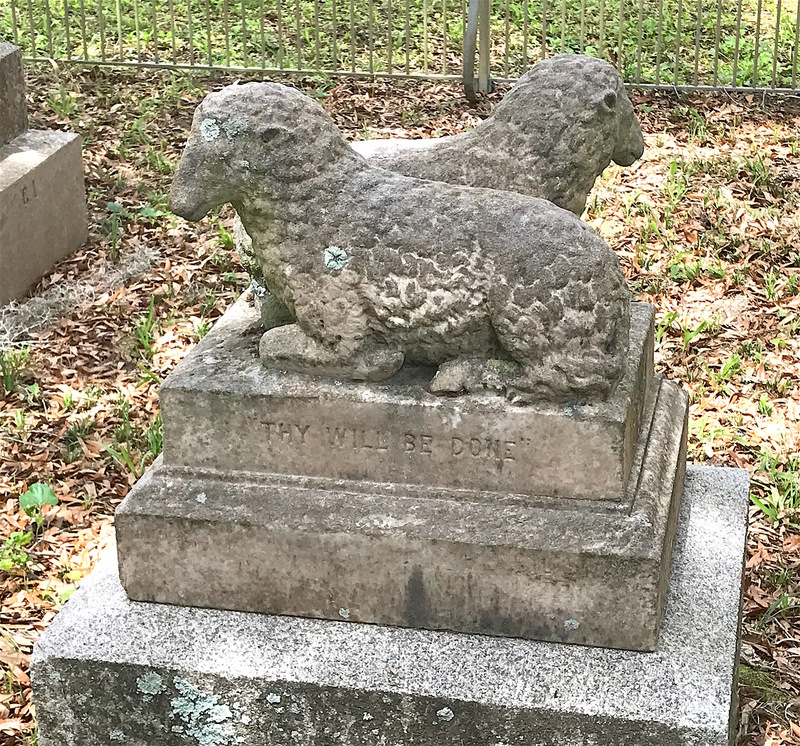 Also in the Lawton plot is the monument for Winborn Wallace Lawton III and his wife, Cecilia Lawton Lawton (yes, her maiden name was Lawton). Born in 1837, Winborn III was Winborn Jr.’s eldest son by his second wife, Martha. He served in the 10th Regiment of the South Carolina Infantry during the Civil War. He married Cecilia in 1864. Winborn III and Cecilia would have four children but only one would survive. The first, Robert, was born in 1866 and lived only 18 months. He is buried in Lawtonville Cemetery in Estill, S.C. St. John Alison Lawton was born in 1869 and lived into adulthood, dying in 1947. He is buried beside Winborn Jr. and Martha’s monument. Only one of the four children of Winborn Wallace Lawton III and Cecilia Lawton Lawton lived to adulthood. A single marker of twin lambs was made for Winborn III and Cecilia’s last two children. 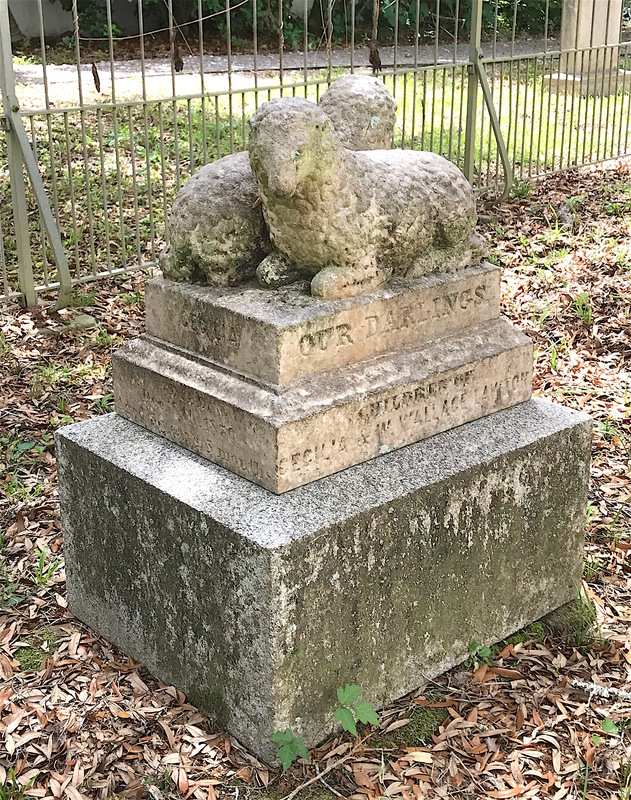 I have seen many lamb markers for children over the years, occasionally one with two lambs. But this has to be the largest one I’ve ever seen before or since. Infant mortality was high in the 1800s so parents were often fatalistic about the deaths of their children. Cecilia was born in 1871 and died on Dec. 7, 1876 at the age of five. Herbert Singleton Lawton was born in March 1874 and died on Dec. 2, 1876, just five days before his sister. Both children died of diphtheria, a common illness that was often fatal in that time. Winborn III died at the age of 69 in 1906 of “inanition” and “syncope”, which would be poor nutritional health and possibly a heart condition of some kind. Syncope was rarely the leading cause of death. Cecilia died in 1923 of cancer. Finally, as an example of never knowing whom you might find in a cemetery, I present the grave marker of Jean “Jane” Scott Stiles. 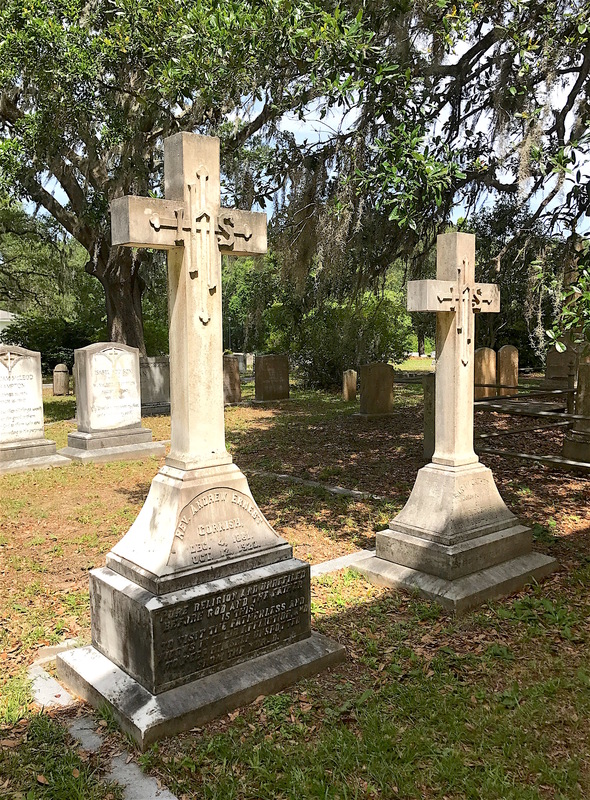 A few weeks ago, I wrote about the Stiles and Hinson families buried at James Island Presbyterian Church’s cemetery. I mentioned that Martha Stiles Hinson’s father was Benjamin Stiles. Martha’s mother was his first wife, Sarah Staples Stiles, who died when Martha was about 10. I had forgotten that Benjamin remarried in 1785 to Jane Scott (age 38) when he was 55. I don’t think they had any children. 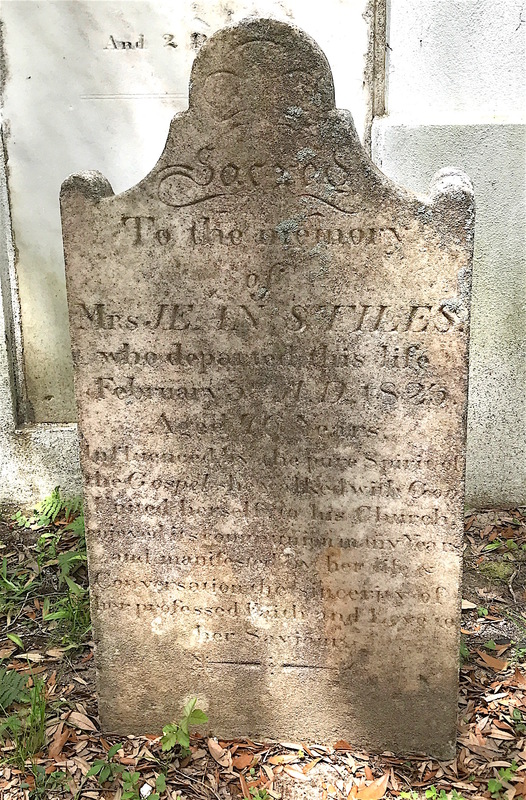 I was surprised to find the second wife of Benjamin Stiles buried at Saint James Church Cemetery and not at the cemetery at Stiles Point Plantation. First wife Sarah Staples Stiles is buried with Benjamin at the family cemetery at Stiles Point Plantation on James Island. 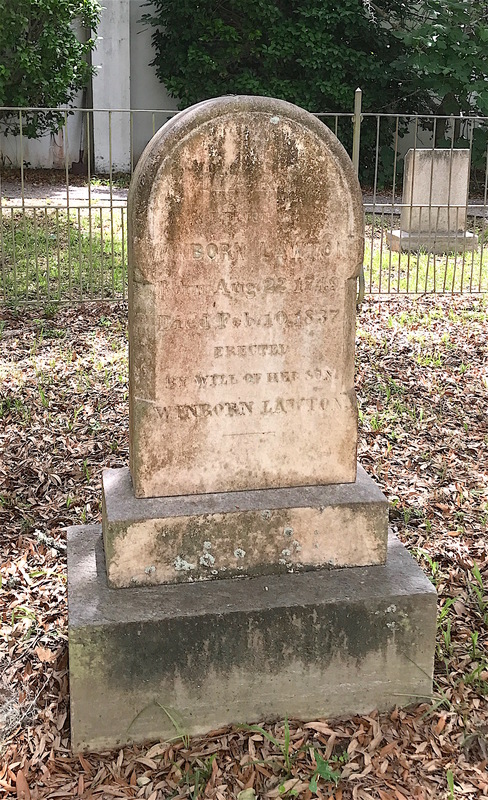 But second wife Jane Scott Stiles is buried near her brother, Archibald Scott, and her nephew, Archibald Henry John Scott, at Saint James Cemetery. She died in February 1823 at the age of 75. Why she is not buried with Benjamin at Stiles Point Plantation Cemetery is unknown, but it was a pleasant surprise to find her at Saint James Church Cemetery. I could write much more about this cemetery but I think it’s time to move on. I’m not sure which cemetery I’ll be writing about next, it could be in Alabama, Iowa or Montana. But I promise wherever I go, I’ll take you with me. The Dill family plot at Saint James Church Cemetery. As usual, Traci…good work. I’m glad the weather has been good to do the photo taking. 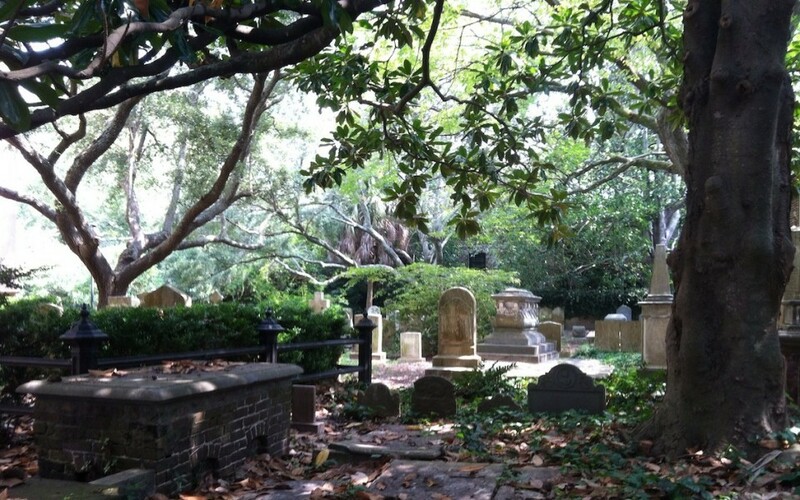 Take some rest times between those ” cemetery hopping” is good for you as you know. I bet the Montana area would uncover a gem of stories. Thank you, Tom! I actually visited a cemetery in Montana when I was visiting Yellowstone over the summer, just haven’t gotten around to writing about it yet. Still have my Iowa adventure to write about.